Please note while reading, that we recommend when possible to purchase organic and non GMO food. Fall is here, and that means it's time to enjoy some of our favorite seasonal foods again. While dietary choices may not be a primary cause of acne, studies have shown that the things we eat do play at least somewhat of a role in our skin's health. For that reason, it's important to make healthy choices this fall season-especially since sugary, high-calorie treats lurk around every corner. Here's a look at four autumn-inspired foods that will help keep your skin glowing and acne-free over the coming months. Nuts are delicious and nutritious year round, but there's just something about fall that makes them irresistible. They're the perfect addition to any number of treats, like granola or freshly baked bread, or you can simply enjoy them alone. 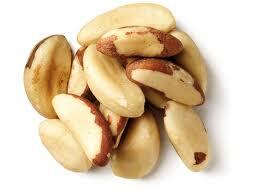 One variety in particular, brazil nuts, are high in a powerful antioxidant known as selenium. Selenium helps promote overall skin health by reducing the occurrence of inflammation, which has been known to exacerbate acne breakouts. While they're definitely a skin-friendly and healthy choice to add to your diet, remember to enjoy brazil nuts in moderation, since they're relatively high in calories and fat. From butternut to acorn, squash is in season during the fall, and there are lots of great varieties waiting for you to try them. 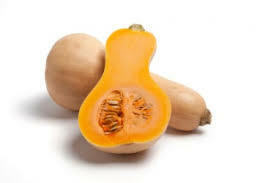 Squash is incredibly high in a nutrient known as beta carotene, which is responsible for regulating the production of skin oil and keeping inflammation to a minimum-so you can see why this wonder vegetable is a must-have for those looking to protect their skin from acne. Interestingly enough, squash can pull double duty when it comes to protecting you from breakouts. 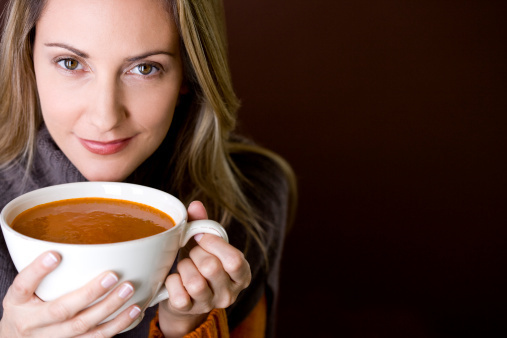 It's a great ingredient to create delicious fall-themed dishes like soups and pies, but it also works well as a topical treatment. You can even put it on your face! Here is a recipe for a simple, homemade squash face mask to pamper your skin this season. Use organic ingredients when possible. Simply combine all ingredients. Apply the mask to your face and let it set for 20 to 30 minutes. Be sure to thoroughly wash your face with warm water afterwards. Sweet potatoes conjure up nostalgic images of delicious, gooey sweet potato casserole on Thanksgiving Day. While it's perfectly fine to indulge in treats like that from time to time, it's best to enjoy sweet potatoes as unprocessed as possible during the rest of the fall season. This colorful root vegetable is chock full of skin-friendly antioxidants like vitamins A and C, but it also has a low glycemic index-which means it doesn't have a drastic impact on your blood sugar levels. Some research has indicated that spikes in your blood sugar can lead to inflammation, and as you already know, this condition primes your skin for acne breakouts. Sweet potatoes can be prepared in every way that a normal potato can be, so don't be afraid to experiment with different techniques. Two of the healthiest preparation methods include baking and boiling. 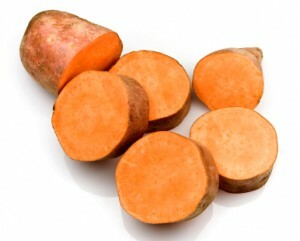 Additionally, sweet potatoes can replace squash in our face mask recipe if you've got some on hand. When carving a jack-o-lantern most of us toss out the seeds without giving them a second thought. However, pumpkin seeds make a delicious and nutritious snack that can keep your skin looking great. These tiny treats are high in zinc, which is known as an "essential trace element"-meaning it's important for our overall health. Zinc has been shown to regulate oil production in the skin and promote the creation of collagen, which is a protein that's responsible for keeping your skin elastic, young looking, and overall healthy. 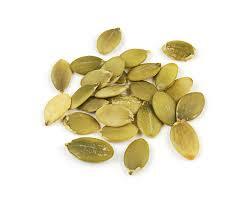 Like brazil nuts, pumpkin seeds are somewhat high in fat and calories, so be sure to enjoy them only in moderation. You should always roast seeds for roughly 40 minutes before eating them, or purchase them pre-roasted at the grocery store. Learn more about breaking your cycle of acne!